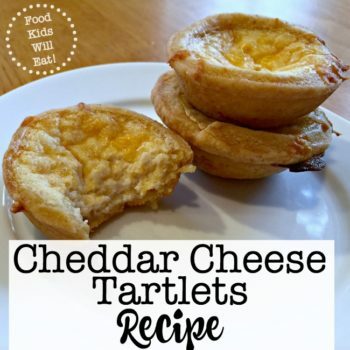 These cheddar cheese tartlets are constructed out of a cheddar-cheese dough and then filled with a creamy cheese filling, and then topped with shredded cheddar before baking. Yum! They make the perfect appetizer for the holidays! In life, there are those that love cheese and want to make it a part of every meal- and those that don't. As for me, I absolutely adore cheese! I can't imagine my burger without it, I make chicken dishes with cheese toppings, and a grilled cheese sandwich is probably my favorite thing to have for lunch! So it should be no surprise that I would prepare a cheese appetizer at the holidays. But no ordinary cheese ball or cheese & cracker platter will do- it's these cheddar cheese tartlets that I dream about! 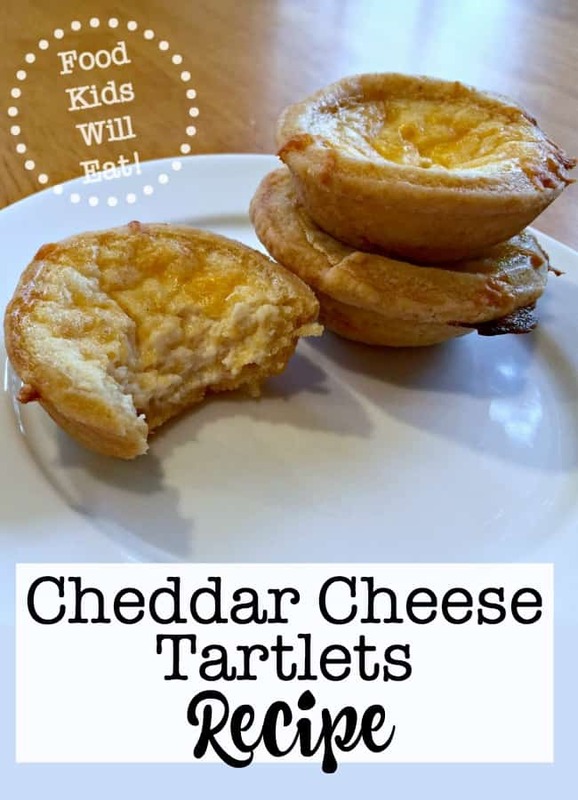 The tartlet itself is made with a cheddar cheese crust. 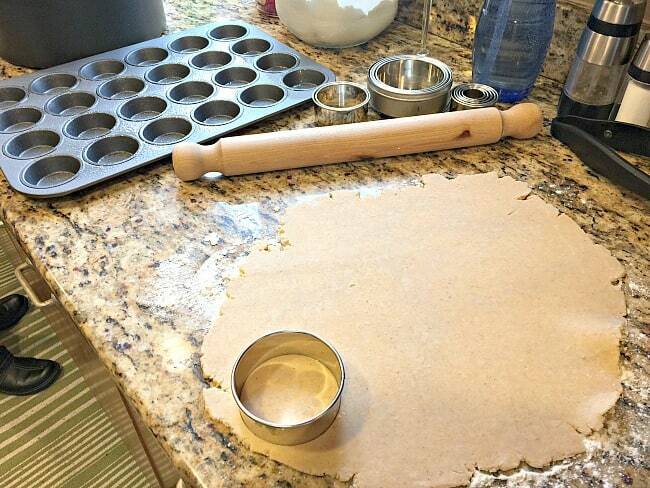 Rolled out, cut into circles with a biscuit cutter This is an affiliate link: MomOf6 earns a commission if you purchase, at no additional cost to you. and nestled into a mini-muffin tin This is an affiliate link: MomOf6 earns a commission if you purchase, at no additional cost to you. .
Next comes the soft cheese filling, then the whole bite-sized tartlet is sprinkled with more shredded cheddar before you pop it into the oven and turn it into this golden goodness. Using a food processor, blend the flour, salt, and cayenne pepper. Add the shredded cheddar cheese and butter and process using on and off turns until coarse crumbs begin to form. Add the water 1 teaspoon at a time and blend using on and off turns to form a ball. Using the food processor, blend cottage cheese and whipping cream until smooth. Add in one cup of the shredded cheddar cheese, eggs, salt, and cayenne pepper and blend well. Preheat the oven to 350°. Using cooking spray, coat the bottoms of a tin of 30 mini muffin cups. Roll out the cheddar cheese pastry onto a lightly floured surface until ¼ inch thick. Cut out 2¾" rounds using a biscuit cutter. Place one round into each muffin cup and using your fingertip, press it into the cup. Spoon one heaping tablespoonful of the filling into each pastry cup. Bake tartlets until filling is nearly set about 30 minutes. 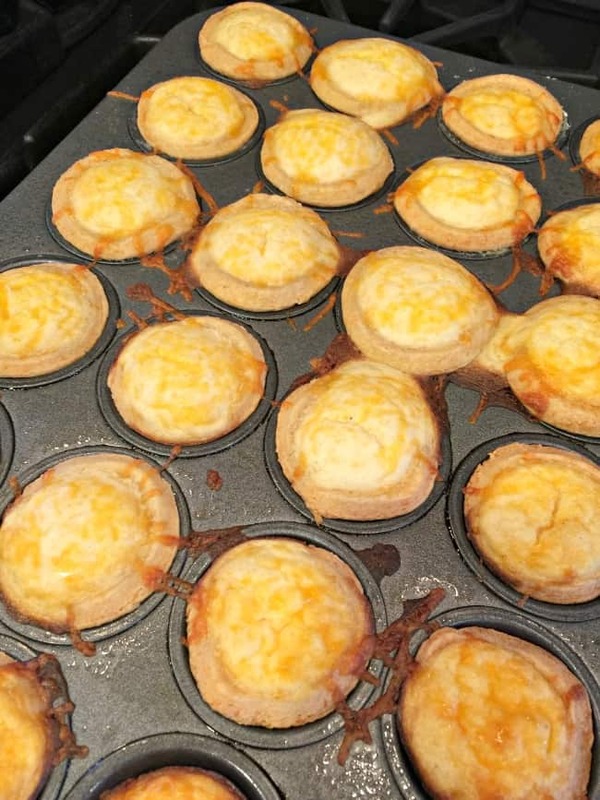 Sprinkle the remaining ¼ cup of cheddar cheese over the tartlets and bake until the cheese and crust are golden and the feeling is completely set, about 10 more minutes. Allow to cool for 10 minutes before removing from the pan. Serve warm. Do you use a metal or plastic blade in the food processor. Size of biscuit cutter. Sorry I’m visually impaired and need a little help but love to cook. My food processor uses a metal blade. Hope that helps! Those look great and I bet they’re a hit with both adults and kids! I’ll keep this recipe in mind during this busy holiday month. These sound delicious. 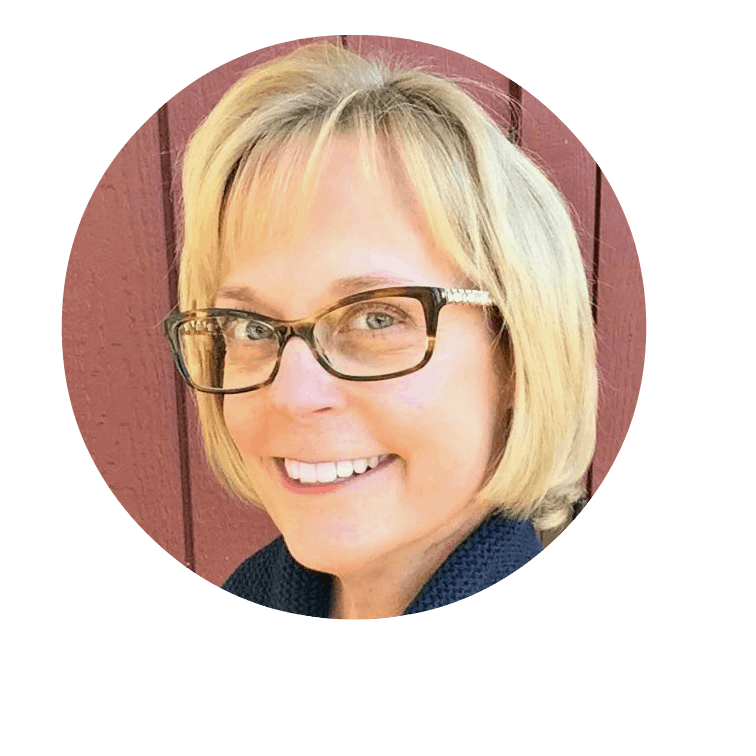 Unfortunately, my son is allergic to dairy and I am trying to lose weight, and cheese is an extremely high calorie item, so I typically only eat it on sandwiches and things lately and in moderation. When I get off my diet though, this might be a scrumptious treat to try. I’ll just have to keep it far away from my little man.